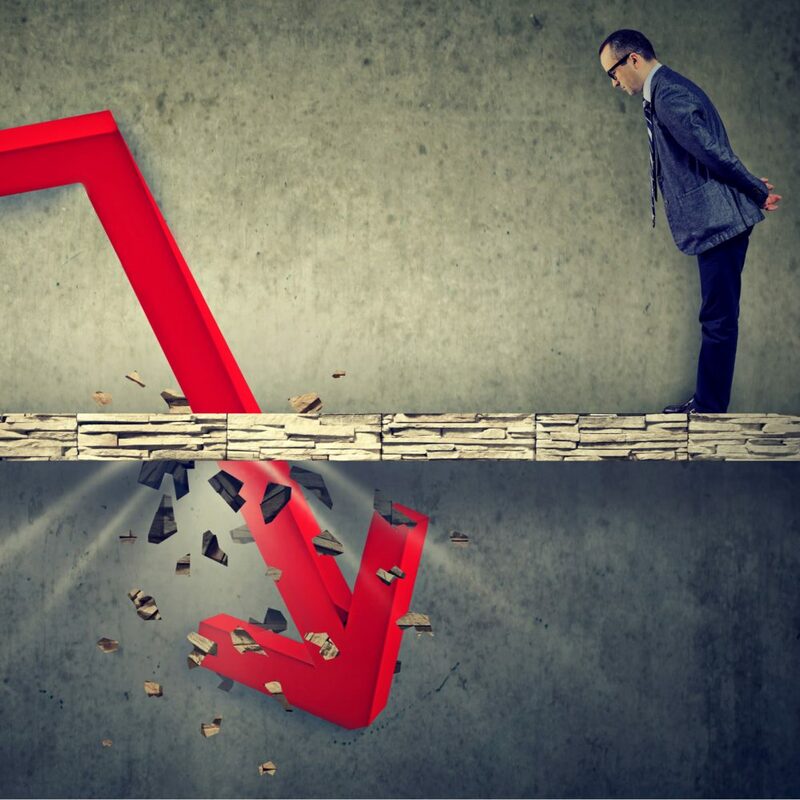 Many altcoins have posted significant losses in recent days, with ETH currently testing price levels not seen in over 12 months after losing 40% in roughly one week. The declining value of altcoins has also driven BTC to continue to establish new highs for market dominance during 2018. The heavy losses sustained by many leading altcoin markets have led BTC to continue to further its market dominance over other cryptocurrencies. As of this writing, BTC has a market dominance of 57.6% and is trading for roughly $6,300 USD. Despite stable price action over recent days, BTC has shed approximately 16% in the last 8 days. BTC currently has a market capitalization of nearly $109 billion. The number of BTC short positions is testing the all-time high level of roughly 38,000 for the second time in roughly one month. Bitcoin Cash has experienced a bearish week or so of price action, losing approximately 30% in the last 8 days when measuring against the dollar. With prices currently hovering at the $420 area, BCH has established a new low for 2018 and is currently testing price areas not witnessed since late October 2017. When measuring against BTC, BCH is trading for approximately, 0.067 BTC – a key support area dating back to the market’s inception a year ago. BCH is currently the 4th ranked cryptocurrency market by capitalization with roughly $7.35 billion. In the last 8 days, ETH has lost roughly 41% when measuring against the dollar. The drop plunged the price of ETH down to the $170 area – prices not seen since mid-July 2017. Ethereum’s market dominance has dropped below 10% for the first time since December 8th, 2017, and March 2017 before then – with ETH currently comprising 9.6% of the total cryptocurrency market cap, according to Coinmarketcap. When measuring against BTC, ETH is testing the support area of approximately 0.0275 BTC for the first time since December 2017. As of this writing, the number of both ETH/USD shorts and longs are testing record highs on Bitfinex – with longs breaking into new all-time highs above the 350,000 area as of this writing, and shorts testing the 240,000 area for the second time in just a few days. ETH is the second largest cryptocurrency market with a capitalization of $17.76 billion. XRP dropped by 21% in 8 days to retest support at its 2018 low of approximately $0.26. XRP is the third-ranked market by capitalization with $10.43 billion. EOS is trading for approximately $4.85 after losing 25% in 8 days. EOS has now tested the roughly $5 area for several consecutive weeks. EOS is the fifth largest cryptocurrency by market cap with nearly $4.4 billion. Stellar has posted the most modest losses among leading altcoins for the last 8 days – falling by roughly 16%. Stellar is the sixth largest crypto market with a capitalization of $3.65 billion. LTC set a new low for 2018 today, breaking below $50 for the first time in nearly 12 months. As of this writing, LTC is trading at $49 after shedding roughly 28% of its value in 8 days. LTC has the seventh largest cryptocurrency market cap with $2.87 billion. ADA is the ninth largest cryptocurrency with a market cap of $1.65 billion. ADA posted the most violent losses of the leading altcoin markets this week, losing roughly 60% in 8 days. ADA is currently trading at a record price low of $0.064 USD. XMR has fallen by 29% in the last 8 days and is currently testing support at the $100 area. XMR is the tenth largest cryptocurrency market with a capitalization of $1.62 billion. Do you think we will continue to see bearish market action across the cryptocurrency markets in the short-term? Share your thoughts in the comments section below! The Bitcoin universe is vast. So is Bitcoin.com. Check our Wiki, where you can learn everything you were afraid to ask. Or read our news coverage to stay up to date on the latest. Or delve into statistics on our helpful tools page. The post Markets Update: ETH Hits 14-Month Low Amid Heavy Altcoin Losses appeared first on Bitcoin News. Ripple (XRP) Down 7.3 Percent To Nov-2017 Levels, Rally in the Making?